So you’ve created your campaign and attended to all the details of identifying your audience, created your offer, and toiled for hours and hours, honing copywriting and design. But in the end, the tipping point for your success likely stems from the degree to which you emotionally persuade an individual to take action with persuasive writing techniques. 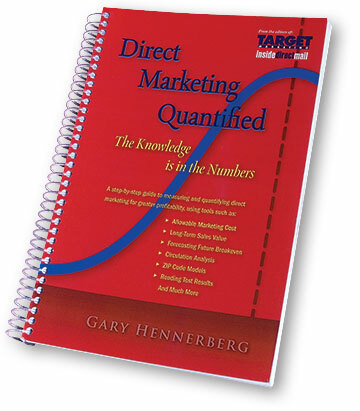 This is the topic of my blog at Target Marketing Magazine. Persuasion builds. It doesn’t just pop up and present itself. By the time you’ve engaged your audience and you’re moving toward the close, you should already have stimulated and calmed emotions, presented your USP, told a story, and walked your prospective customer or donor through logical reasons to purchase. But to seal the deal, you need to return to emotion, and you need to persuade. So today I offer 17 persuasive writing techniques. 1. Trust and Credibility. Persuasion isn’t coercion or manipulation. Trust is earned. Credibility is built. Without these two foundational elements, most else won’t matter. Begin persuading by building trust and credibility first. 2. Authority. People respect authority figures. The power of authority commands respect and burrows deep into the mind. Establish your organization, a spokesperson, or an everyday person, relatable to your customer, as having authority. 3. Express Interest. Your prospects are attracted to organizations that have an interest in them. Use this starter list of the six F’s as central topics to build around so you can persuade by expressing interest: Family, Fun, Food, Fitness, Fashion, or Fido/Felines. 4. Build Desire for Gain. A major motivation that persuades your prospects and customers is the desire for gain. Give your prospect more of the things they value in life, such as more money, success, health, respect, influence, love and happiness. 5. Simplify and Clarify. Communicate clearly. Obsess over simplifying the complex. Write to the appropriate grade level of your reader. Your prospects are more easily persuaded when you simplify and clarify. 6. Expose Deep Truths. Go deeper with your persuasive message by telling your prospects things about themselves that others aren’t saying. Don’t be judgmental. Be respectful. 7. Commitment and Consistency. When your prospect commits to your idea, they will honor that commitment because the idea was compatible with their self-image. Compatibility opens the door to persuasion. 8. Social Proof. Even though the first edition of Cialdini’s book was written in 1984, a generation before the explosion of social media, he recognized the power of people behaving with a “safety in numbers” attitude from seeing what other people were doing. Testimonials and an active and positive presence on social media are often a must that leads in trust and persuasion. 9. Liking. The term “liking” in 1984 was developed in the context of people being persuaded by those they like. People are persuaded and more apt to buy if they like the individual or organization. Still, it’s affirming to be “liked” on social media! 10. Confidence is contagious. When you convey your unwavering belief in what your product or organization can do for your prospect, that attitude persuades and will come through loud and clear. 11. Reciprocity. It is human nature for us to return a favor and treat others as they treat us. Gestures of giving something away as part of your offer can set you up so that your prospects are persuaded and happy to give you something in return: their business. 12. Infuse Energy. People are drawn toward and persuaded by being invigorated and motivated. Infuse energy in your message. 13. Remind about Fear of Loss. No matter how much a person already possesses, most want more. People naturally possess the fear of missing out (FOMO). When you include them, they are more easily persuaded. 14. Guarantee. Your guarantee should transcend more than the usual “satisfaction or your money back.” Your guarantee can persuade through breaking down sales resistance and solidify a relationship. 15. Scarcity. Human nature desires to possess things that are scarce when we fear losing out on an offer presented with favorable terms. But make sure you honor the any positioning of scarcity in your message. If it’s an offer not to be repeated, don’t repeat it. 16. Convey Urgency. With scarcity comes urgency. Offering your product or making a special bonus available for a “limited time” with a specific deadline can be a final tipping point to persuade. 17. Tenacity and Timing. Just because a prospect said “no” the first, second or more times, it doesn’t mean you should give up on someone who is in your audience. It can take multiple points of contact, from multiple channels, before you persuade your prospect to give themselves permission to act.